Tony, Olivier and Drama Desk winner Lea Salonga (Miss Saigon, Allegiance, Once On This Island) returns to the world of Cabaret in 2019 to bring you her favorite Broadway tunes. Boasting one of the finest voices in the business, Salonga's cabaret repertoire takes in everything from Broadway standards to contemporary pop. Perhaps best known around the world as the voice of Mulan and Princess Jasmine in two Disney movies, Salonga burst onto the Broadway scene in 1991's Miss Saigon, originating the role of Kim. She was most recently seen treading the boards in the Tony winning revival of Once On This Island, as well as appearing in Annie at the Hollywood Bowl as Grace Farrell. Sound good to you? Share this page on social media and let your friends know about Lea Salonga at Popejoy Hall. 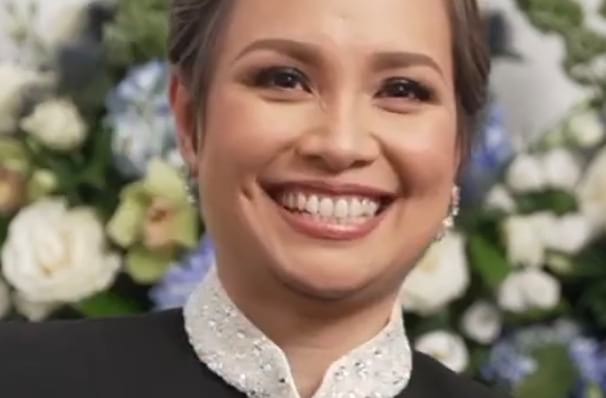 Please note: The term Popejoy Hall and/or Lea Salonga as well as all associated graphics, logos, and/or other trademarks, tradenames or copyrights are the property of the Popejoy Hall and/or Lea Salonga and are used herein for factual descriptive purposes only. We are in no way associated with or authorized by the Popejoy Hall and/or Lea Salonga and neither that entity nor any of its affiliates have licensed or endorsed us to sell tickets, goods and or services in conjunction with their events.